Brand positioning is where you stand in the mind of the consumer. In other words this it is what separates you from your competitors and what you’re associated with when your target audience thinks of you. Regardless of the efforts you take, your brand will form some type of image or position in your targets audience's mind. It could be good or bad, positive or negative. So don’t let your brand image fall by the wayside, let it work for you and not against you. With a strategy and some elbow grease, your agency’s brand positioning could positively influence and impact your target audience. If done correctly, brand positioning allows you to do more with less. You can spend less money on media buying and get more traffic, you can spend less time nurturing leads and still close more deals. All of this is possible if you position your agency as the only option in your target audience's mind. If you follow the 3 tips below you’ll be there in no time. Before you can perfectly position your agency you must know who it is that you’re trying to reach. Try putting yourself in the shoes of your ideal customer and think about what their day looks like. What are their pain points? Their wants? Dreams? Worries? The more clearly you can answer these questions, the more strategic and effective your brand positioning will be. Having a clearly defined target audience allows you to go after them with precise tactics tailored to appeal to them. Without a clearly defined target audience you’ll be trying to appeal to everyone, and therefore will appeal to no one. Think of it as a game of darts. If you’re throwing darts at the board trying to hit all over the place you’ll lose the game, but if you focus your sights and aim for the bullseye every time you’ll take home the gold. Keep in mind that you are defining your target audience before developing a strategy to appeal to them. Don’t create a positioning statement before you define an audience. The later will leave you with a lot of heartache and little revenue. Be the agency your target audience wants to hire and you will be wildly more successful. Next up, you must decide what it is your agency is capable of delivering to your target audience, and you must be truthful to yourself. If you’ve never touched Twitter you can’t promise a comprehensive social media marketing package. This will lead to false promises and unhappy clients. Instead focus on what you do really well, I mean really well. Think of this as your unique selling proposition or what sets you apart from the competition. Figure out what your clients are looking for, and of those what you do the absolute best. Do you cater to an obscure niche? Do you have an incredible turn around time? Does your customer service go above and beyond? Finding your strong suits will help you niche out, and if you’re already good at it then it’ll be easy to deliver. You must understand who you’re up against. Ignorance is not bliss when it comes to brand positioning. Knowing what your competition is doing well means you can ensure that your services are competitive. Knowing what your competition isn’t doing well means you can fill in the gaps and come out on top. Perhaps your biggest competitor has reasonable prices and great final products, but they’re hard to get in touch with during the project. That means you should boast about your open and transparent communication processes or your 2-hour response time guarantee. Ignorance is not bliss when it comes to brand positioning. Knowing what your competition is doing well means you can ensure that your services are competitive. When scoping out the competition it’s important to do your research, learn a thing or two, then let it be. You don’t want to get hung up on trying to mimic them or become obsessed with what they’re doing. It’s absolutely critical that you remain unique and original as an agency. If you want to be successful you need people to hire your agency because it’s amazing, not because it’s just like all the other guys. Apple didn’t become the company it is today by trying to copy Microsoft or IBM. Instead, they saw what they were doing and decided to do it better. 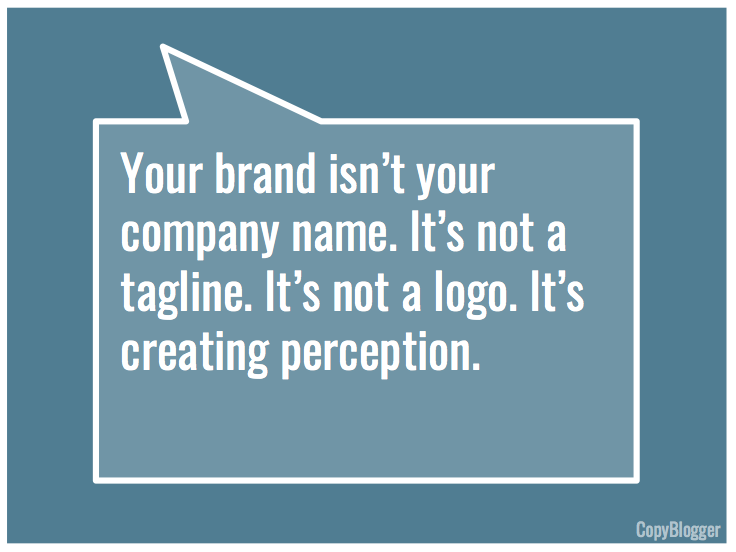 A brand positioning statement and strategy isn’t one size fits all. Every agency, in every niche, in every market, will have a wildly different approach. Defining who you’re going after, what you do, and who you’re up against will give you the clarity you need to position yourself for success. Leave it to chance and your prospects will look right over you. So be proactive, do some research, and hash it out. 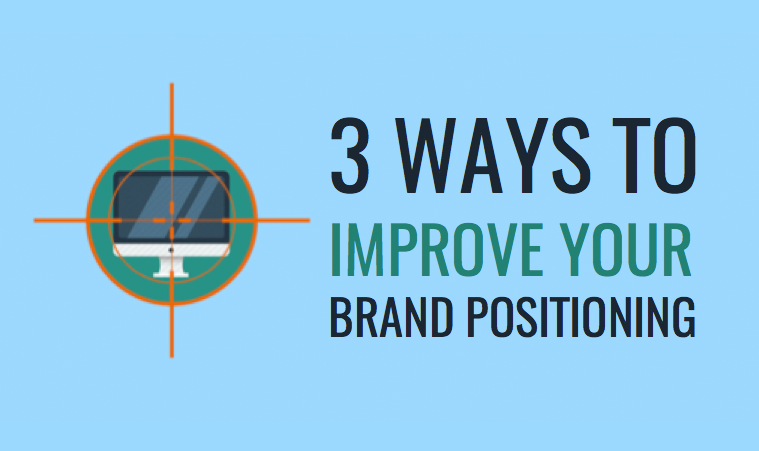 Once you get these 3 categories clearly mapped out you’ll be able to develop a brand positioning strategy that finds your target audience, jumps out at them, and reals them in. This may not happen overnight, but all good things come with time. Before you know it your brand positioning will be allowing you to do more, with less.